The 2018 European Nations Cup competition at RCG Sotogrande proved to be a memorable one for England, who largely dominated from start to finish. The England Team, consisting of Todd Clements, David Hague, Matthew Jordan and Gian-Marco Petrozzi, won the Team competition by an impressive 20 shots with a 853 -11 total. Of the other competing home nations Ireland finished second on 873 (+9) and Wales 11th on 910 +46. Todd Clements secured the Individual title with rounds of 69 73 71 and 70 for a 283 total (-5). Five shots back Ireland’s Alex Gleeson (76 74 69 69 / Ev), Denmark’s Rasmus Neergaard-Petersen (72 75 72 69 / Ev) and Gian-Marco Petrozzi (69 71 76 72 / Ev) all tied for second place. Matthew Jordan (71 76 76 68 / +3) finished tied 5th and David Hague (79 73 74 68 / +6) 11th. Ireland’s Caolan Rafferty (72 79 74 71 / +8) was tied 12th and compatriot Jonathan Yates (77 74 72 75 / +10) tied 20th. Ben Chamberlain (77 76 76 72 / +13) and Thomas Williams (79 75 74 74 / +14) were the best Welsh players, finishing tied 27th and tied 30th respectively. The Men’s European Nations Cup (ENC) starts on Wednesday 18th April at Real Club de Golf Sotogrande in Southern Spain. RCG Sotogrande is the permanent home of the ENC and this will be the 12th playing of the event. It is a 72 hole stroke play Team and Individual competition. This year 16 four-man teams (64) will play for a Team prize whilst a total of 72 players will contest the Individual competition. 8 players have been invited by RCG Sotogrande and the Spanish Golf Federation to complete the field. Of these just Robin Dawson and Alex Gleeson played in the event in 2017. Alex also played in 2016. Scotland have historically entered a team but with the event being played a little later this year, and therefore clashing with both the Craigmillar Park Open and Battle Trophy, they have chosen not to do so in 2018. A Women’s ENC takes place alongside the Men’s competition. England and Scotland both competed in this in 2017. However, with this year’s date falling against the Helen Holm Scottish Women’s Open Championship no home nations are participating in 2018. 72 holes of stroke play, with 18 holes played daily, will be contested by all of the players. There is no cut. In the Team event the best three 18-hole scores from the four players count towards the overall total. In the case of a tie for 1st place a team member will be nominated and a sudden death play-off will be contested on the 9th hole. Other ties will be determined by a count back of the team score for the last 18, 27, 36, etc. holes. The Individual prize is awarded to the lowest scoring player. Ties will be broken in line with the Team approach outlined above. Winning Team members each receive a replica of the Nations Trophy. The Individual champion receives a trophy and a fetching yellow jacket. The forecast looks fine for golf albeit strong easterly winds are forecast throughout the four days. This is likely to cause problems given the numerous water hazards on the course. Real Club de Golf Sotogrande was opened in 1964 and was originally designed by Robert Trent Jones. One of the best courses in Continental Europe it first held the Spanish Open in 1966, won that year by Roberto de Vicenzo. In 1970 The Sherry Cup, the precursor of the European Nations Cup, was established. Former Individual winners of this include Padraig Harrington and Sergio Garcia. (see below for the full list of past Individual winners). In 1973 a Women’s event started to be played alongside the Men’s. In 1983 Sotogrande hosted the Spanish Amateur Championship with Jose Maria Olazabel victorious. Sotogrande was awarded royal patronage by HM King Juan Carlos I in 1994. Between 1996 and 2001, in tandem with nearby San Roque GC, the course hosted the European Tour’s Qualifying School. 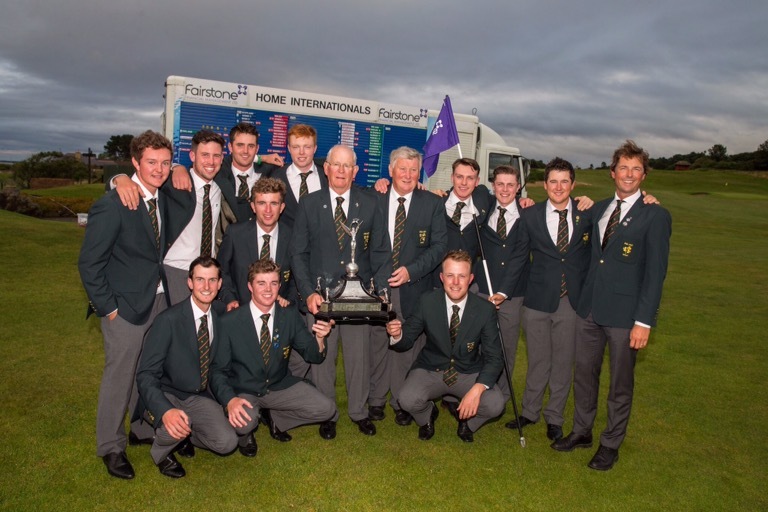 In 2006 The Sherry Cup was rebranded as the European Nations Cup and more recently has become the European Nations Championship played for the Sotogrande Cup. In 2011, ahead of it’s 50th anniversary, the Club decided to embark upon a major course renovation appointing Roger Rulewich and David Fleury. With the work on greens, bunkering and drainage taking place in 2015 and early 2016 the ENC moved temporarily to the nearby La Reserva Club de Golf for two years. In 2017 the competition returned being played on the renovated course for the first time. The Black Tee Championship Course at Sotogrande plays 6,492m with a par of 72. The front nine measures 3,163m and the back 3,329m. The home nations have an excellent record in the Men’s Team event, both when it was The Sherry Cup and now it’s known as the European Nations Cup. 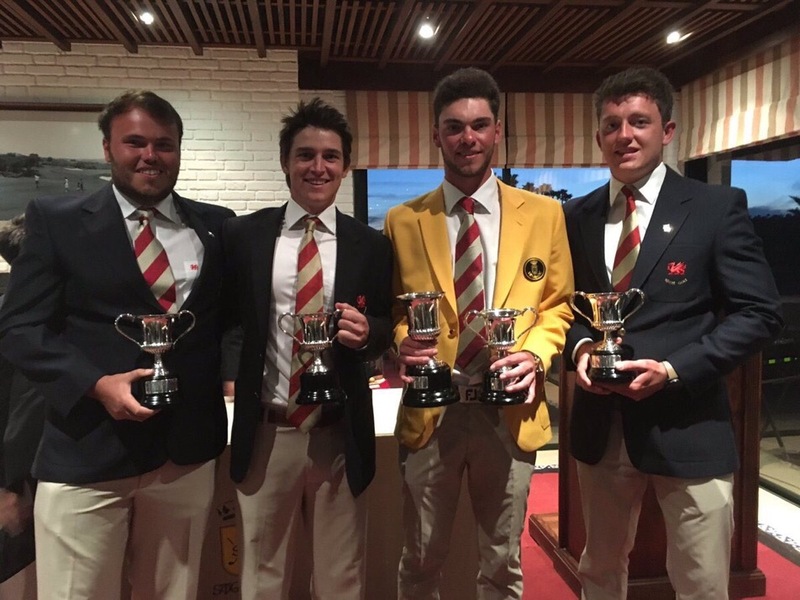 Wales, represented by David BOOTE, Jack DAVIDSON, Joshua DAVIES and Owen EDWARDS, won the European Nations Cup team competition for the first time in 2017. Wales’ total of +13 was 11 shots better than second placed Ireland (+24) and 21 shots better than fourth placed Scotland (+34). England (+61) finished a disappointing 12th. 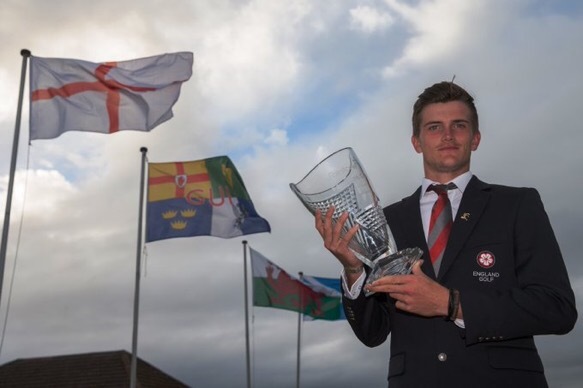 Jack Davidson won the Individual European Nations Cup title by 4-shots last year. Rounds of 70, 70, 70 and 73 (-5), which included 20 birdies and 2 eagles, gave him his second major title in less than a month. He had won the Spanish International Amateur a few weeks before. In winning the Individual Jack Hume played one of the best rounds of amateur golf in the world in 2016 at La Reserva. His 64 in Round 2 was an astonishing 8 shots better than any other player in the field.